Your perfect working tool: compact and practice-oriented! You need to prepare for an audit or an inspection to come, a self-inspection or your own GDP audit of suppliers and subcontractors? The GDP Audit Questionnaire facilitates an efficient preparation, helps you save a lot of valuable time and ensures that the requirements are fully met! This questionnaire is a practice-oriented tool for preparing and implementing self-inspections with an emphasis on GDP (Good Distribution Practice). 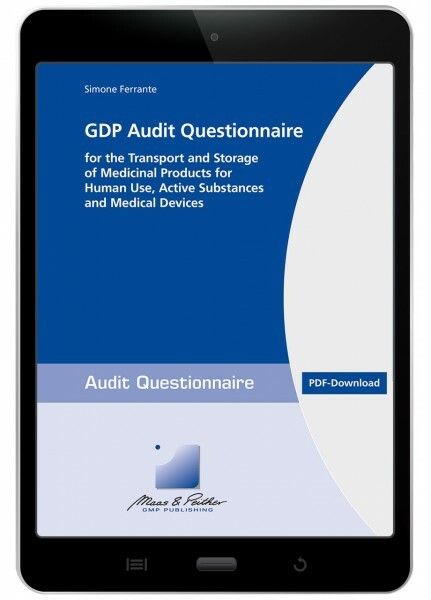 Compliance with GDP requirements during the product life cycle of medicinal products for human use, their active substances, and medical devices can be monitored, checked and directly documented using a list of questions. The GDP Questionnaire is your perfect working tool! Click & View "GDP Audit Questionnaire"